Looking for a quick and easy craft for your kids to give as a gift or something to tuck into a thank-you card? 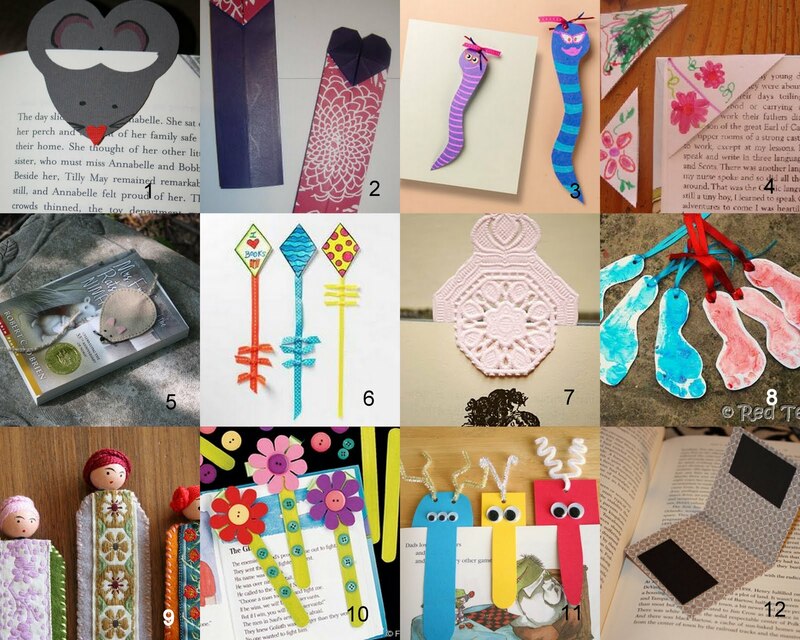 One of these clever bookmarks might be just the thing! 1. Blu Mama's Arts and Crafts has the template for this cute mouse bookmark. 2. The directions for folding an origami heart bookmark are at Ready, Set, Craft. 3. A bookworm bookmark from Crayola! 5. Another cute mouse bookmark from Wee Folk Art. 7. Zakka Life shows you how to make this elegant bookmark from a doily! 8. I love the idea from Red Ted Art of using baby footprints to make "footmarks!" 9. These Scandinavian doll bookmarks from Wee Wonderfuls may be a little more involved than the others, but they surely are beautiful! 10. Popsicle sticks, flowers and buttons make great bookmarks as Lena shows us. 11. Whimsical funny nose bookmarks from Make and Takes. 12. Inspire Me Crafts shows how to turn just about anything into a magnetic bookmark.